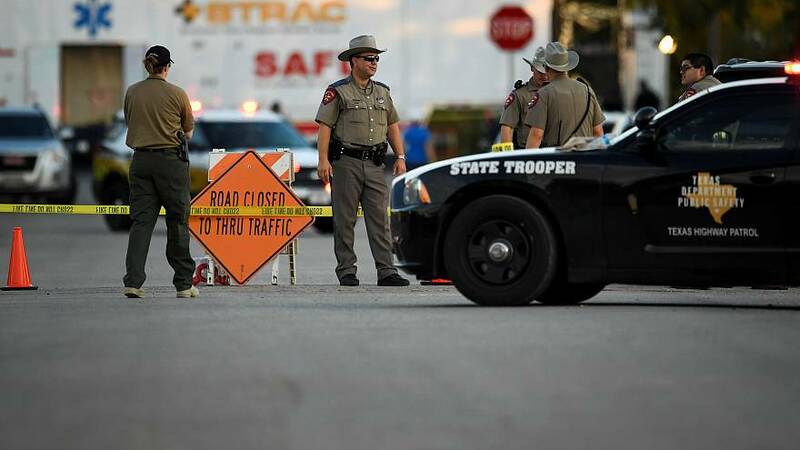 Authorities in Texas have named 26-year-old Devin Patrick Kelley as the gunman in the attack at the First Baptist Church which killed 27 people and left dozens more injured. Media reports say Kelley was thrown out of the Air Force for allegedly assaulting his wife and child. According to eyewitnesses, he entered the church in combat gear at around 11.30 am on Sunday morning firing multiple shots into the congregation. The suspect was engaged by Johnnie Langendorff, a local resident, as he left the church and fled the scene in a silver SUV. US President Donald Trump is in Japan on a 12-day Asian trip. He said he was monitoring the situation. granddaughter-in-law and three of her children.